This entry was posted in Locks, Residential and tagged Home Security Lighting, Home Security Systems, Home Security Tips, Residential Home Security Basics on November 17, 2016 by Locksmith Sarasota. Many people don’t think they need security systems. They may assume security systems are too expensive and a waste of money, especially if they live in a smaller city or town. However, residents of these areas are not immune to break-ins. At Locksmith Sarasota, we don’t simply provide locks. We seek to protect our clients any way possible, so we encourage them to invest in security systems before a break-in occurs. We have all the tools you need to ensure your home is a safe place. The more you know about how burglars operate, the easier avoiding them will be. When most people hear “burglar,” they think of a stealthy thief dressed in black, breaking into their homes in the middle of the night. In reality, most burglaries happen between 10 AM and 3 PM, when most people are at work or school. Additionally, burglars are not always strangers. You may have seen a potential burglar in your neighborhood, or talked to that person casually. Some of them get to know potential targets and their daily routines. Social media has made break-ins easier than ever. Please be careful what you post on Facebook, Twitter, and other sites. Vacation photos or trip announcements let burglars know exactly when you’re away. Even if your privacy settings are tight, friends of friends may share your information with someone who’ll use it for a break-in. Despite what you see on television, most burglars don’t jimmy open windows. An astonishing 34% of them enter by the front door because not all homeowners keep these locked. Another 30% enter using any easily accessible unlocked door or window. A professional burglar can burglarize your house in 10 minutes or less. If your security system isn’t up-to-date, that’s enough time for significant property loss and damage to occur. The police are there to ensure safety, which includes tracking down burglars. However, only about 14% of burglaries resulted in arrests in the last two years. Burglaries are some of the hardest crimes to solve, and the chances of recovering your lost property are slim. You should always contact the police in the event of a burglary. However, a home security system prevents burglaries where the police cannot. 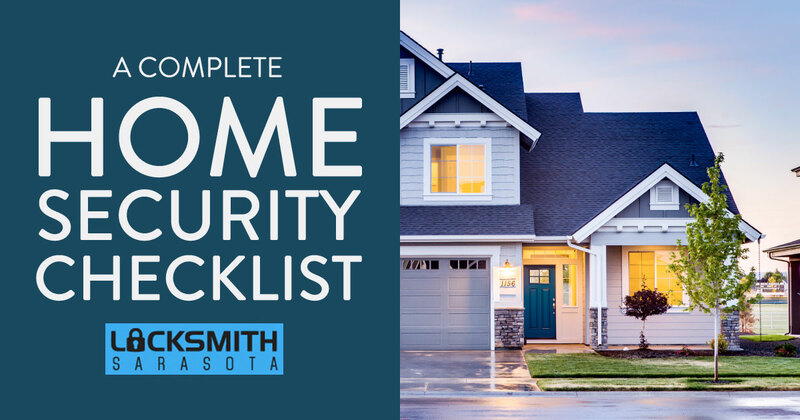 Before you install a security system, you should take several precautionary measures. None of your valuables should be visible from the street. When you are not home, keep doors and windows locked and the shades down. Do not keep jewelry boxes, safes, or other containers of valuables open. Do not post passwords or combinations in accessible places. A lit pathway keeps you safe at night, but may also encourage a burglar. Consider buying automated outside lights you can turn on and off using your phone or other device. When you aren’t home, make sure all the lights are off but keep your porch light, if possible. The porch light illuminates your house number, which helps law enforcement find you quickly. Give an extra set of keys to someone you trust. When possible, give the keys to someone who lives nearby and can check on your house while you travel. Ask the post office to hold your mail, too. Burglars become suspicious when they see a full mailbox after one or two days. Your doors should be either wood or metal-clad with keyed deadbolts and secondary locks. Secondary locks are especially important on sliding, deck, attic, or garage doors. These entrances are some of the easiest for burglars to use. Always keep medications out of sight. Some burglars are also substance abusers and choose homes based on whether they’ll find drugs. Additionally, lock up outdoor valuables, including tools burglars might use to access the rest of your house. Take personal inventory of your property. Secure your valuables in a safe place. If you leave pets behind, ensure they are in a safe place, too. Your security system should extend to your garage, yard, deck, or wherever else your pet normally stays. Your home security system needs alarms, and these must be tested regularly. Test your alarms at least once every few months. If you travel often, the tests should be more frequent. Keep security codes in your phone, or memorize them if possible. If you must write them down, do so in a notebook you always carry with you. Consider changing codes at least once a year. This way, even if a burglar sees you using one code, there is no guarantee it’s always correct. A good home security system places your lights and possibly appliances on timers. You need at least two light timers that work in a logical sequence. If desired, set timers for televisions, radios, or computers. 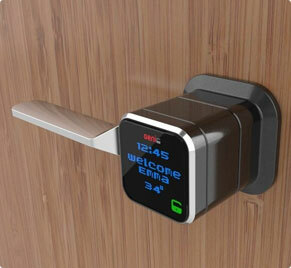 These may fool burglars into thinking you’re home. Make sure your security system has floodlights. Burglars don’t want the attention floodlights attract, so the faster your house lights up, the faster a burglar will leave. Check your floodlights regularly. The garage, pool area, and sheds need manual locks. Don’t rely solely on a garage door opener, especially if that opener doesn’t come with a code. Keep the keys on your person when possible, or in a high, inaccessible location. Never let outdoor locks rust. If you experience a break-in, whether indoors or outdoors, call a locksmith immediately. He or she will change the locks and may help you change codes, too. Most burglars come into homes looking for specific items like computers and televisions. To ensure their protection, inscribe items with legitimate, law enforcement-approved serial numbers. Take photos of these and other valuables. This makes it easier for police to identify and find your valuables if there is a break-in. If you live in Sarasota or in the Tampa, FL area, contact us online or by phone about home security systems. Together, we will customize one that fits your needs. Don’t wait until after a break-in. Prepare and protect your home now.